A group of businessmen from Abu Dhabi, the capital of the United Arab Emirates, plans to invest in health care in Mozambique, specifically in the fight against cancer of the cervix, uterus and prostate cancers, APA can report on Tuesday. The spokeman Mozambique's Investment and Export Promotion Agency of Mozambique (APIEX) Gil Bires said the businessmen are from VPS Healthcare, an organization based in Abu Dhabi, who met with Mozambican Prime Minister Carlos Agostinho do Rosário on Tuesday. "We are still in the consultation stage to know how much they should invest; but what I must say is that the mission will support the eradication of cancer here in the country,"he told a media briefing in Maputo on Tuesday. Bires said: the arrival of Abu Dhabi's business mission to Maputo shows that they have a huge interest in putting investments Mozambique. In mid-December, Prime Minister Carlos de Agostinho do Rosário attended the Global Alliance for Vaccines and Immunization (GAVI) meeting in Abu Dhabi. At the event, Mozambique mobilized more resources for GAVI, crucial to the healthy growth of children. Mozambique has already benefited from US $ 186 million funded by GAVI to purchase vaccines. The partnership between Mozambique and GAVI has been in place since 2001, and since then the country has been funded by $ 208 million in healthcare, of which $ 186 million has been spent on vaccine purchases. 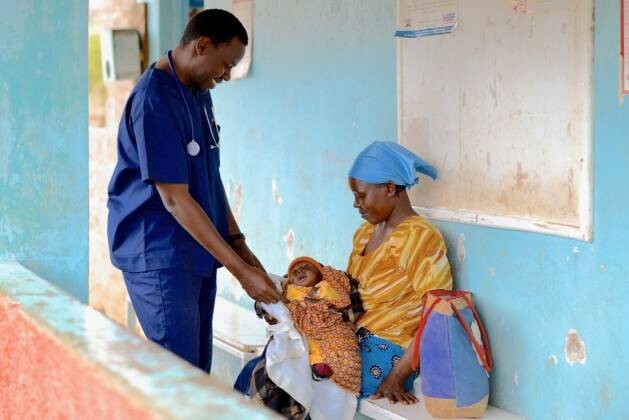 GAVI finances the country annually with funds ranging from $ 18 million to $ 20 million.